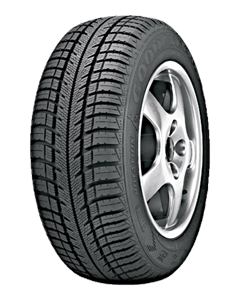 Enjoy year-round driving with a tyre that adapts to all road conditions. Goodyear’s SmartTRED Weather Reactive Technology activates different parts of the tread to cope with whatever the weather brings. The Vector 5+ and Eagle Vector 2+ feature a blade arrangement that helps you maintain optimal control on both dry and slippery roads. The tread compound is designed to maximise grip in varying weather conditions. Goodyear’s V-TRED Technology reduces the risk of aquaplaning on wet or thawing roads. Grooves in the tyres quickly channel water and slush, keeping you in control. The Vector 5+ and Eagle Vector 2+ use new compounds that are less harmful to the planet. SmartTRED Technology ensures that these tyres last for longer before needing replacement – reducing your impact on the environment.